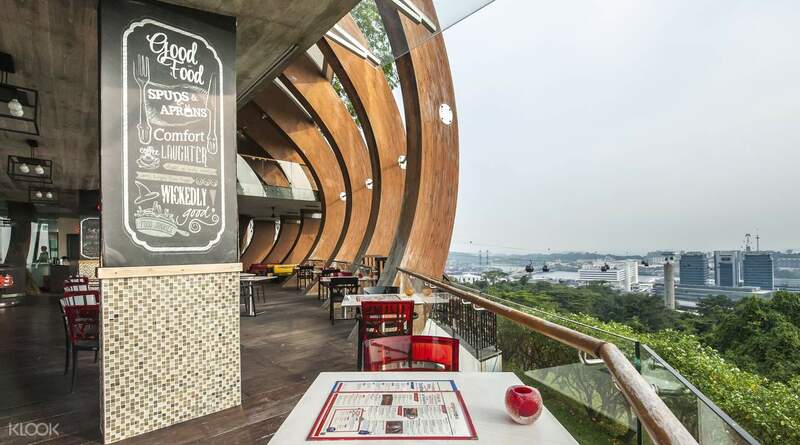 Enjoy great value dining in Faber Peak and Sentosa! Choose between a delectable lunch at Arbora on Faber Peak or a dinner buffet at the Good Old Days in Sentosa! The buffet dinner is ok. Rice, chicken, fish, sausages, cake and fruits were available plus powdered orange juice. Checking out the cable cars at Mount Faber? Or spending a day in Sentosa? Then fill your tummies with this value-for-money buffet! 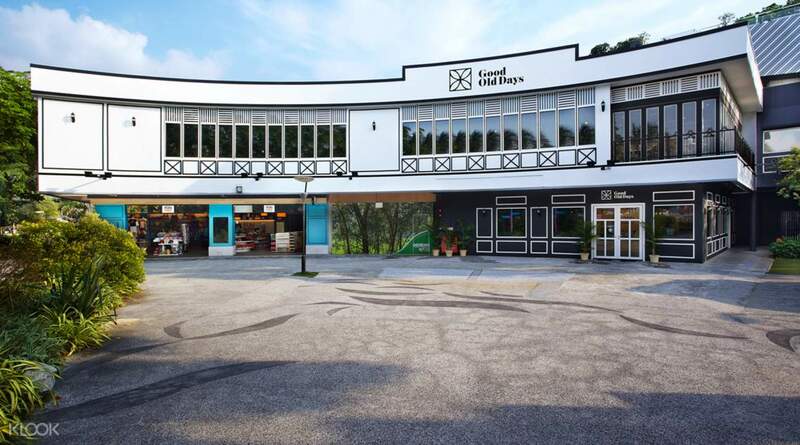 You will get to choose from two restaurants, Spuds and Aprons on Faber Peak or Good Old Days in Sentosa. Spuds and Aprons offers panoramic views of Sentosa, the harbour and the city skyline, while stepping into Good Old Days restaurant will make you feel as if you've been transported back in time with its interior and furnishings resembling a typical colonial bungalow. 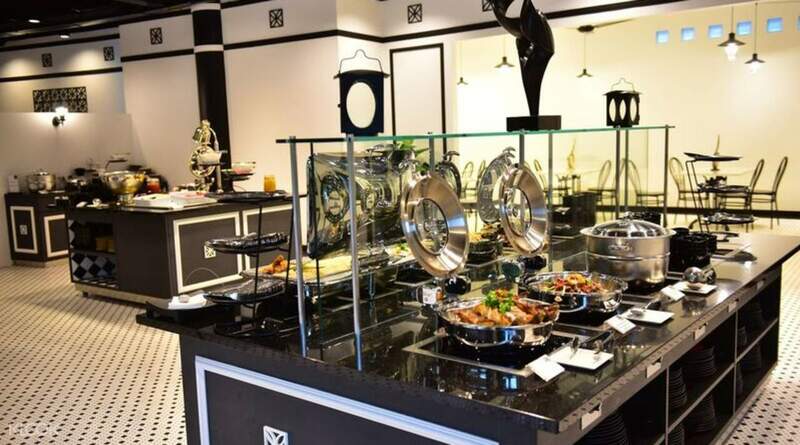 Serving up a wide variety of tantalizing local favourites such as laksa, chicken rice and many more, the buffet is a perfect add on to your day out at Mount Faber or in Sentosa! 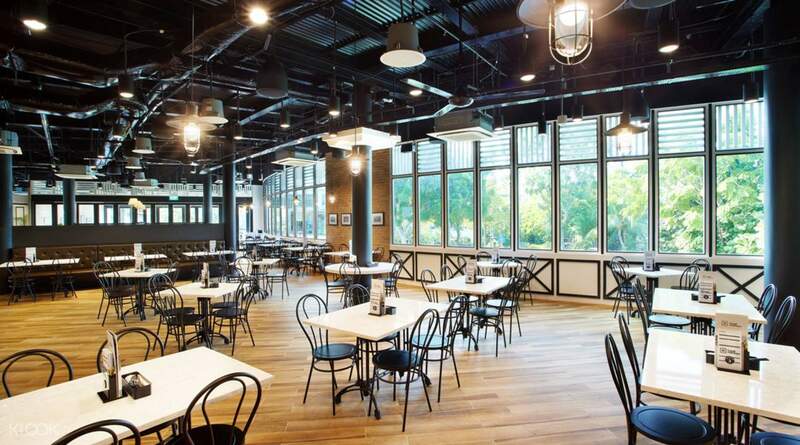 Indulge in a delicious and affordable buffet with vegetarian and Halal options, there's something for everyone! The dinner was good. The voucher needs to be exchange to tickets before proceeding to the restaurant. The kiosk is just near the restaurant so its easy to locate. We had a great time. The restaurant is in front of Wings of Time show so we also had a peek in the fireworks. The dinner was good. The voucher needs to be exchange to tickets before proceeding to the restaurant. The kiosk is just near the restaurant so its easy to locate. We had a great time. The restaurant is in front of Wings of Time show so we also had a peek in the fireworks. Fast & easy to redeem. Great food. We went there 5:30pm, it was not crowded. It is very near Wings of Time. So we had dinner buffet at Good Old Days while waiting for the show. Fast & easy to redeem. Great food. We went there 5:30pm, it was not crowded. It is very near Wings of Time. So we had dinner buffet at Good Old Days while waiting for the show. Foods were superb. Beyond my expectations! Experienced delicious meals with sweet fruits. Love the menus. Hughly recommended! Will surely come back here! Foods were superb. Beyond my expectations! Experienced delicious meals with sweet fruits. Love the menus. Hughly recommended! Will surely come back here! very nice friendly staff. close to luge, very convenient. food is ok, lasa, friended noodles, fruits etc. worthy for money paid. oridinal price is~ 20 SGD. very nice friendly staff. close to luge, very convenient. food is ok, lasa, friended noodles, fruits etc. worthy for money paid. oridinal price is~ 20 SGD. Dine at Spuds and Aprons. Great food! You’ll experience the scenic view from Faber Peak! Thanks Klook for rhis experience! Dine at Spuds and Aprons. Great food! You’ll experience the scenic view from Faber Peak! Thanks Klook for rhis experience! Overall, the dinner was just ok. It would indeed fill your stomach but dont expect too much. If we were to eat there again, we would stuff ourselves with the tofu which tastes like squid and their super yummy laksa. All other viands were just ok. I just wished they had better fruit choices. The red velvet cake was a disaster. Overall, the dinner was just ok. It would indeed fill your stomach but dont expect too much. If we were to eat there again, we would stuff ourselves with the tofu which tastes like squid and their super yummy laksa. All other viands were just ok. I just wished they had better fruit choices. The red velvet cake was a disaster. We ate there around 20:00 after the wings of time show. They are until 21:30 that time. I was told that they will stop refilling food at 21:00 but when we got in some dishes are not available anymore. Overall the food is still great though especially the Laksa. We ate there around 20:00 after the wings of time show. They are until 21:30 that time. I was told that they will stop refilling food at 21:00 but when we got in some dishes are not available anymore. Overall the food is still great though especially the Laksa. Dinner at the good old days, Very convenient, the redeemtion is jist beside the restaurant.. and if you are still early, you can walk to the beach and watch the sunset, we really enjoy the food, they just need to have more variants. Dinner at the good old days, Very convenient, the redeemtion is jist beside the restaurant.. and if you are still early, you can walk to the beach and watch the sunset, we really enjoy the food, they just need to have more variants.